The Oregon Supported Employment Center for Excellence (OSECE) has an SE statewide trainer position open. To see details and learn how to apply, click here. Shane grew up in Ashland, Oregon and feels lucky to be a 34 year resident of Southern Oregon, . Shane experienced adversity in his teens and early 20’s and was fortunate enough to find recovery at 22 years old. Shane started to find different opportunities for himself and as a young man, Shane found himself working manual labor, mostly having to do with production and Mill work. After years of manual labor work, Shane was able to use the wisdom of his father and “use the thing on his shoulders for something other than a hat rack”. Shane returned to school in his Mid 20’s and he was determined to become a long term residential Alcohol and Drug counselor. Upon graduation, he was able to secure one of only two local positions that fit this bill. Shane worked 7 plus years in a residential setting, providing addictions counseling to adult males who could bring one child in to residence and gain substance abuse treatment along with parenting skills. Shane made another change and went into outpatient Opiate replacement therapy. 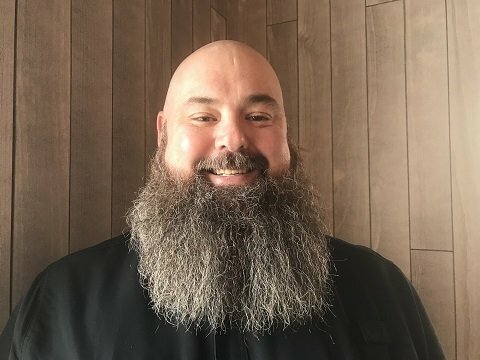 After four years working with the opiate dependent population, he found himself with another opportunity for change and worked on the Access to Recovery Grant with Jackson County Mental Health. When this grant came to an end, the agency was ready to start an Assertive Community treatment team. Shane worked on the Jackson County Mental Health ACT team as the Substance Abuse Specialist for nearly 4 years. Recently, Shane was prompted to apply for a position for the Oregon Center of Excellence for Assertive Community Treatment, where two of his friends were currently working. Shane was offered the position of ACT Statewide Trainer and feels blessed to be part of this amazing team!